It has a 2.4 liter 4 Cylinder Engine high output engine. The high efficiency automatic transmission shifts smoothly and allows you to relax while driving. Front wheel drive on this unit gives you better traction and better fuel economy. 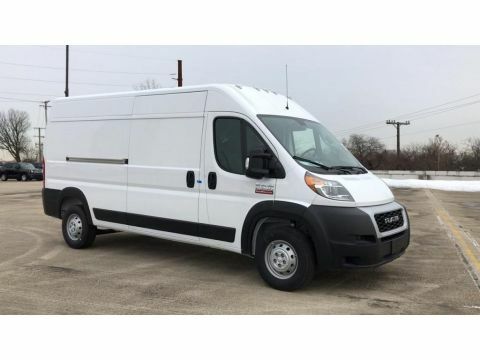 This Ram ProMaster City is equipped with a gasoline engine. The vehicle shines with clean polished lines coated with an elegant white finish. Anti-lock brakes will help you stop in an emergency. Icebox AC keeps this vehicle cool all summer long. See what's behind you with the back up camera on it. The Electronic Stability Control will keep you on your intended path. The vehicle features a hands-free Bluetooth phone system. Power windows are a must have modern convenience. This Ram ProMaster City has an adjustable telescoping wheel that allows you to achieve a perfect fit for your driving comfort. Keep yourself cool in the summer with the premium quality tinted windows. This Ram ProMaster City is equipped with a heavy duty towing package. The traction control system on this vehicle instantly senses tire slippage and executes minute power adjustments to maintain traction at all speeds. Track your miles and travel time in the vehicle with the trip computer. This mini van has a 2.4 liter 4 Cylinder Engine high output engine. Front wheel drive on this model gives you better traction and better fuel economy. 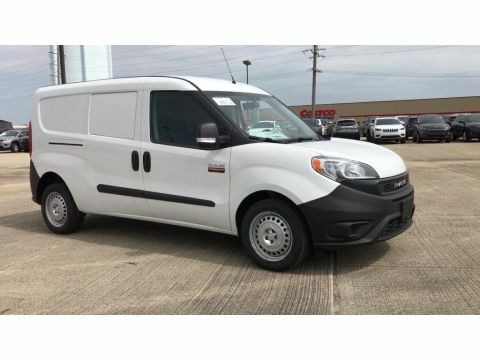 The ProMaster City embodies class and sophistication with its refined white exterior. Anti-lock brakes are standard on this vehicle. This Ram ProMaster City has air conditioning that feels like a walk-in refrigerator. See what's behind you with the back up camera on this model. Electronic Stability Control is one of many advanced safety features on this unit. Bluetooth technology is built into this Ram ProMaster City, keeping your hands on the steering wheel and your focus on the road. It has convenient power windows. This vehicle has an adjustable telescoping wheel that allows you to achieve a perfect fit for your driving comfort. Keep yourself cool in the summer with the premium quality tinted windows. The ProMaster City is equipped with a heavy duty towing package. The vehicle comes standard with a state of the art traction control system. Track your miles and travel time in this unit with the trip computer. This vehicle has a 3.6 liter V6 Cylinder Engine high output engine. The high efficiency automatic transmission shifts smoothly and allows you to relax while driving. This vehicle is front wheel drive. This vehicle is equipped with a gasoline engine. The vehicle shines with clean polished lines coated with an elegant white finish. Anti-lock brakes are standard on this Ram ProMaster 1500. Icebox AC keeps this 2019 Ram ProMaster 1500 cool all summer long. Protect this Ram ProMaster 1500 from unwanted accidents with a cutting edge backup camera system. Electronic Stability Control is one of many advanced safety features on it. Bluetooth technology is built into this unit, keeping your hands on the steering wheel and your focus on the road. It features heated side mirrors keeping the ice off and your vision spot-on. Help alleviate lower back pain with the driver seat lumbar support in it. The ProMaster 1500 has convenient power windows. The satellite radio system in this unit gives you access to hundreds of nation-wide radio stations with a clear digital signal. This model is built for driving comfort with a telescoping wheel. Keep yourself cool in the summer with the premium quality tinted windows. The ProMaster 1500 is equipped with a heavy duty towing package. This 2019 Ram ProMaster 1500 comes standard with a state of the art traction control system. Track your miles and travel time in this 1/2 ton van with the trip computer. This unit has a 3.6 liter V6 Cylinder Engine high output engine. The high efficiency automatic transmission shifts smoothly and allows you to relax while driving. 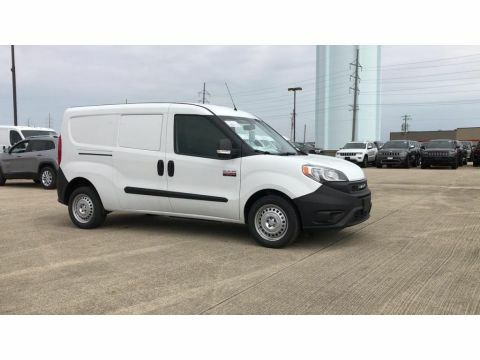 This 2019 Ram ProMaster 1500 is front wheel drive. The ProMaster 1500 is equipped with a gasoline engine. This unit embodies class and sophistication with its refined white exterior. Anti-lock brakes are standard on this 1/2 ton van. The vehicle has air conditioning that feels like a walk-in refrigerator. See what's behind you with the back up camera on the ProMaster 1500. The Electronic Stability Control will keep you on your intended path. This Ram ProMaster 1500 features a hands-free Bluetooth phone system. This 1/2 ton van has heated side mirrors to keep your vision clear in winter weather. Help alleviate lower back pain with the driver seat lumbar support in it. This Ram ProMaster 1500 has convenient power windows. The satellite radio system in this Ram ProMaster 1500 gives you access to hundreds of nation-wide radio stations with a clear digital signal. It has an adjustable telescoping wheel that allows you to achieve a perfect fit for your driving comfort. Keep yourself cool in the summer with the premium quality tinted windows. This unit is equipped with a heavy duty towing package. The traction control system on this unit instantly senses tire slippage and executes minute power adjustments to maintain traction at all speeds. This model has a trip computer for clocking your road adventures. This vehicle has a 5.7 liter 8 Cylinder Engine high output engine. This vehicle has an automatic transmission. When you encounter slick or muddy roads, you can engage the four wheel drive on this model and drive with confidence. 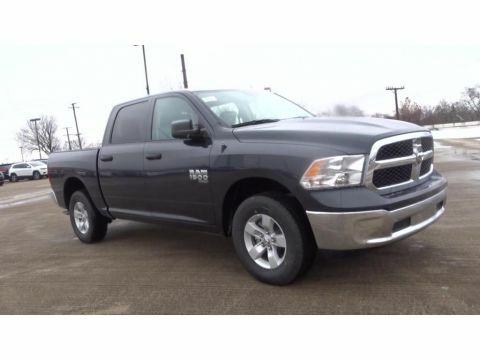 Enjoy the tried and true gasoline engine in this Ram 1500. It projects refinement with a racy metallic gray exterior. Anti-lock brakes will help you stop in an emergency. 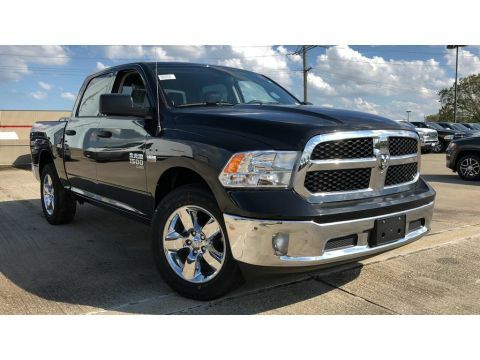 Icebox AC keeps this 2019 Ram 1500 cool all summer long. See what's behind you with the back up camera on this 1/2 ton pickup. 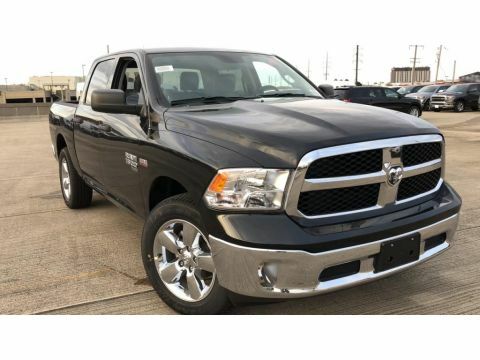 Easily set your speed in this 1/2 ton pickup with a state of the art cruise control system. Increase or decrease velocity with the touch of a button. The Electronic Stability Control will keep you on your intended path. Bluetooth technology is built into the 1500, keeping your hands on the steering wheel and your focus on the road. Quickly unlock it with keyless entry. Power windows are a must have modern convenience. The satellite radio system in this vehicle gives you access to hundreds of nation-wide radio stations with a clear digital signal. This vehicle features tinted windows. 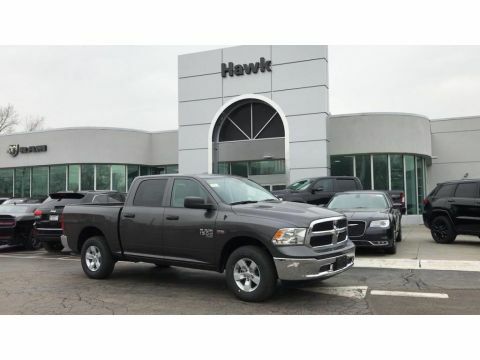 This Ram 1500 is equipped with a heavy duty towing package. 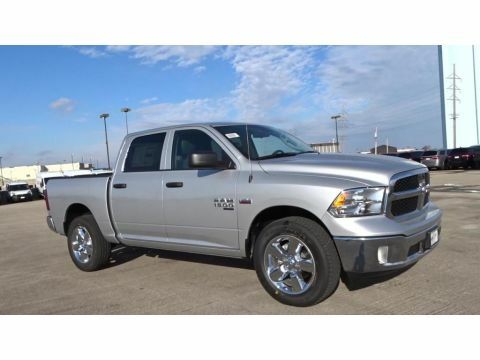 This Ram 1500 comes standard with a state of the art traction control system. 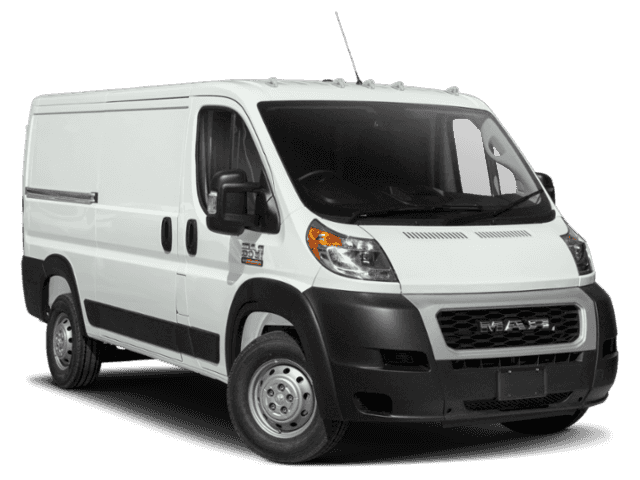 This Ram ProMaster 2500 has a 3.6 liter V6 Cylinder Engine high output engine. This 3/4 ton van has an automatic transmission. Front wheel drive on this model gives you better traction and better fuel economy. The vehicle is equipped with a gasoline engine. This Ram ProMaster 2500 shines with clean polished lines coated with an elegant white finish. Anti-lock brakes are standard on this model. Icebox AC keeps the ProMaster 2500 cool all summer long. See what's behind you with the back up camera on it. The Electronic Stability Control will keep you on your intended path. Bluetooth technology is built into this 3/4 ton van, keeping your hands on the steering wheel and your focus on the road. It has heated side mirrors to keep your vision clear in winter weather. Help alleviate lower back pain with the driver seat lumbar support in this unit. Power windows are a must have modern convenience. The satellite radio system in this vehicle gives you access to hundreds of nation-wide radio stations with a clear digital signal. 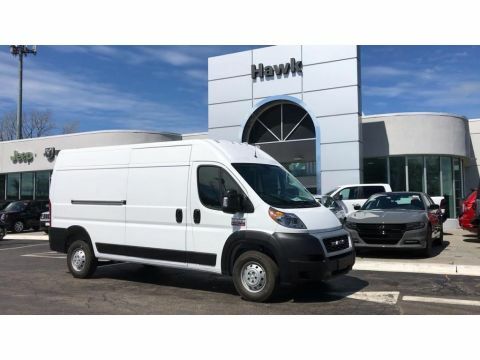 This 2019 Ram ProMaster 2500 has an adjustable telescoping wheel that allows you to achieve a perfect fit for your driving comfort. It features tinted windows. 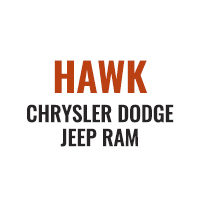 This vehicle is equipped with a heavy duty towing package. The ProMaster 2500 comes standard with a state of the art traction control system. Track your miles and travel time in this unit with the trip computer. It has a 3.6 liter V6 Cylinder Engine high output engine. The ProMaster 2500 has an automatic transmission. Front wheel drive on this Ram ProMaster 2500 gives you better traction and better fuel economy. This vehicle is equipped with a gasoline engine. This unit embodies class and sophistication with its refined white exterior. Anti-lock brakes will help you stop in an emergency. Icebox AC keeps this vehicle cool all summer long. See what's behind you with the back up camera on this vehicle. Electronic Stability Control is one of many advanced safety features on this unit. The vehicle features a hands-free Bluetooth phone system. 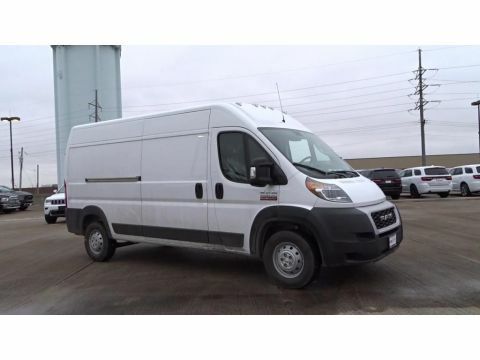 This 3/4 ton van features heated side mirrors keeping the ice off and your vision spot-on. Help alleviate lower back pain with the driver seat lumbar support in this unit. Power windows are a must have modern convenience. 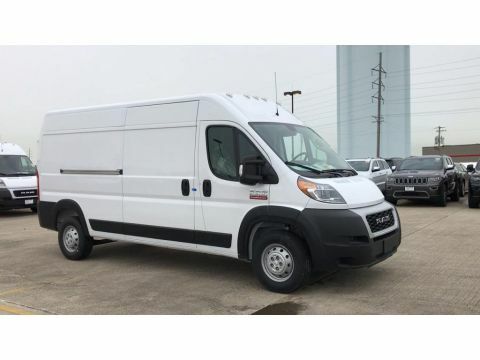 This 2019 Ram ProMaster 2500 has satellite radio capabilities. It is built for driving comfort with a telescoping wheel. Keep yourself cool in the summer with the premium quality tinted windows. You will have no problem towing your boat or trailer to your next outing with this unit. The traction control system on it instantly senses tire slippage and executes minute power adjustments to maintain traction at all speeds. This Ram ProMaster 2500 has a trip computer for clocking your road adventures. This model has a 3.6 liter V6 Cylinder Engine high output engine. It has an automatic transmission. The ProMaster 2500 is front wheel drive. This unit is equipped with a gasoline engine. 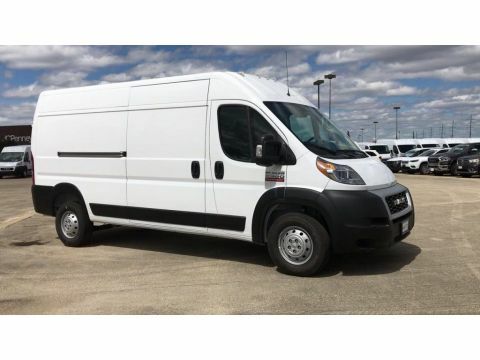 The ProMaster 2500 shines with clean polished lines coated with an elegant white finish. Anti-lock brakes are standard on this unit. Icebox AC keeps this 3/4 ton van cool all summer long. See what's behind you with the back up camera on the ProMaster 2500. Electronic Stability Control is one of many advanced safety features on the ProMaster 2500. This vehicle features a hands-free Bluetooth phone system. This vehicle features heated side mirrors keeping the ice off and your vision spot-on. With the adjustable lumbar support in this unit your back will love you. Power windows are a must have modern convenience. 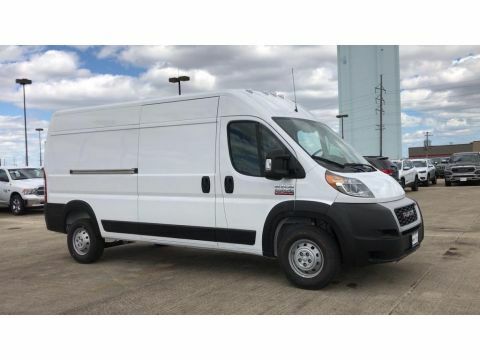 This 2019 Ram ProMaster 2500 has satellite radio capabilities. 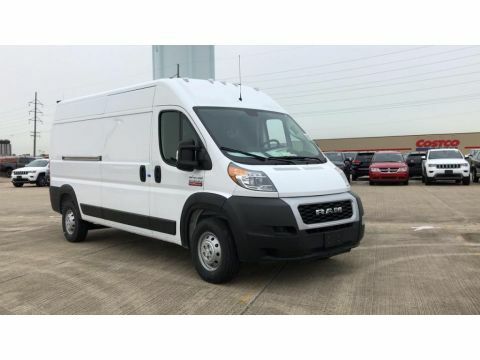 This 2019 Ram ProMaster 2500 is built for driving comfort with a telescoping wheel. Keep yourself cool in the summer with the premium quality tinted windows. The vehicle is equipped with a heavy duty towing package. This Ram ProMaster 2500 comes standard with a state of the art traction control system. Track your miles and travel time in this Ram ProMaster 2500 with the trip computer. This Ram ProMaster 2500 has a 3.6 liter V6 Cylinder Engine high output engine. The high efficiency automatic transmission shifts smoothly and allows you to relax while driving. It is front wheel drive. This model is equipped with a gasoline engine. 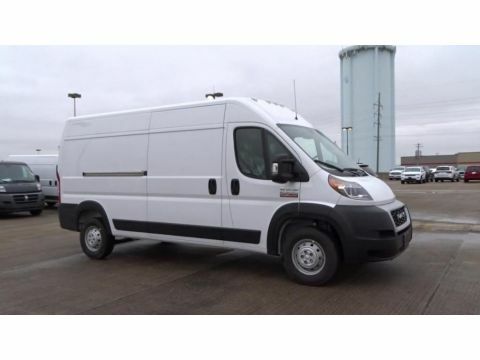 This 3/4 ton van shines with clean polished lines coated with an elegant white finish. Anti-lock brakes will help you stop in an emergency. The vehicle has air conditioning that feels like a walk-in refrigerator. See what's behind you with the back up camera on this 3/4 ton van. The Electronic Stability Control will keep you on your intended path. Bluetooth technology is built into this unit, keeping your hands on the steering wheel and your focus on the road. This 2019 Ram ProMaster 2500 has heated side mirrors to keep your vision clear in winter weather. Help alleviate lower back pain with the driver seat lumbar support in this 3/4 ton van. Power windows are a must have modern convenience. The satellite radio system in this unit gives you access to hundreds of nation-wide radio stations with a clear digital signal. 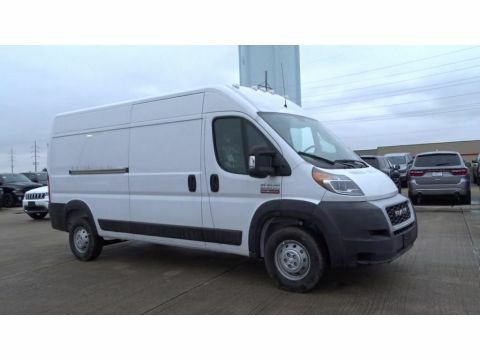 This 3/4 ton van is built for driving comfort with a telescoping wheel. Keep yourself cool in the summer with the premium quality tinted windows. You will have no problem towing your boat or trailer to your next outing with this Ram ProMaster 2500. This vehicle comes standard with a state of the art traction control system. Track your miles and travel time in this model with the trip computer. It has a 3.6 liter V6 Cylinder Engine high output engine. The high efficiency automatic transmission shifts smoothly and allows you to relax while driving. This model is front wheel drive. 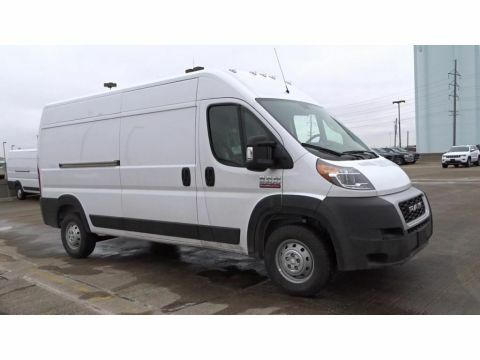 Enjoy the tried and true gasoline engine in this 2019 Ram ProMaster 2500 . 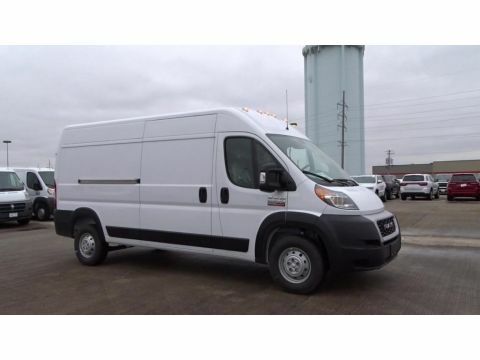 The ProMaster 2500 shines with clean polished lines coated with an elegant white finish. 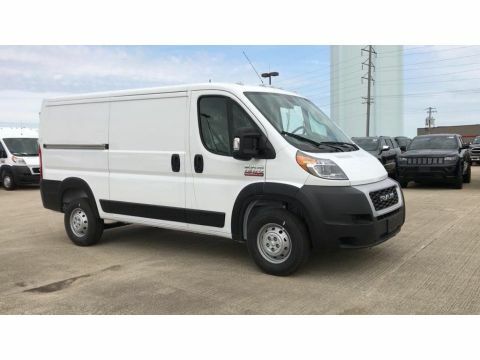 Anti-lock brakes are standard on this 2019 Ram ProMaster 2500 . This 3/4 ton van has air conditioning that feels like a walk-in refrigerator. See what's behind you with the back up camera on this vehicle. The Electronic Stability Control will keep you on your intended path. This Ram ProMaster 2500 features a hands-free Bluetooth phone system. The ProMaster 2500 features heated side mirrors keeping the ice off and your vision spot-on. Help alleviate lower back pain with the driver seat lumbar support in this unit. This model has convenient power windows. The satellite radio system in the vehicle gives you access to hundreds of nation-wide radio stations with a clear digital signal. This unit has an adjustable telescoping wheel that allows you to achieve a perfect fit for your driving comfort. Keep yourself cool in the summer with the premium quality tinted windows. You will have no problem towing your boat or trailer to your next outing with the ProMaster 2500. The traction control system on this Ram ProMaster 2500 instantly senses tire slippage and executes minute power adjustments to maintain traction at all speeds. Track your miles and travel time in this 2019 Ram ProMaster 2500 with the trip computer.